Our reciprocating Micro Power Sander does in minutes what used to take hours...if you could do it at all! And it works in places even your fingertip can't fit. 8 different interchangeable sanding shapes snap into the working end with just a twist. Works on wood, metal or plastic. If you build models or miniatures, it's the tool you've been waiting for! 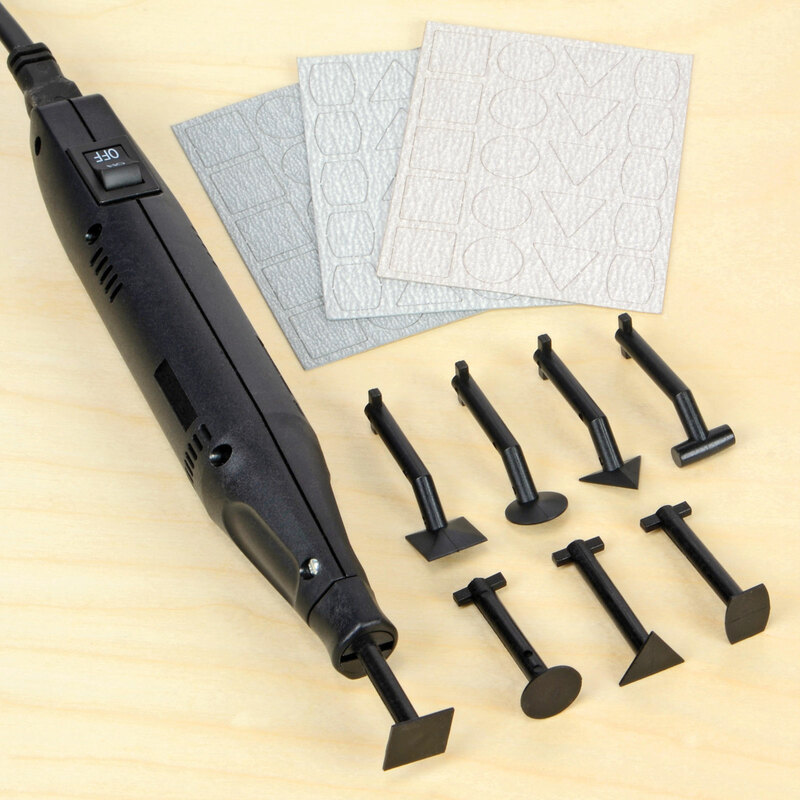 Set includes power sander tool, 8 tips, and 60 self stick sanding pads. 120v AC. 7-1/2 inches long overall. 7,000 strokes/minute. Made in Japan. I originally bought this sander a few years back for polishing the inside of some little aluminum trays for an art piece. I do a fair amount of machining and I've just discovered how well this sander also works for deburring parts. The reciprocating action won't grab and run off on you like a rotary tool will if you're not careful. It gets into tight corners well too.